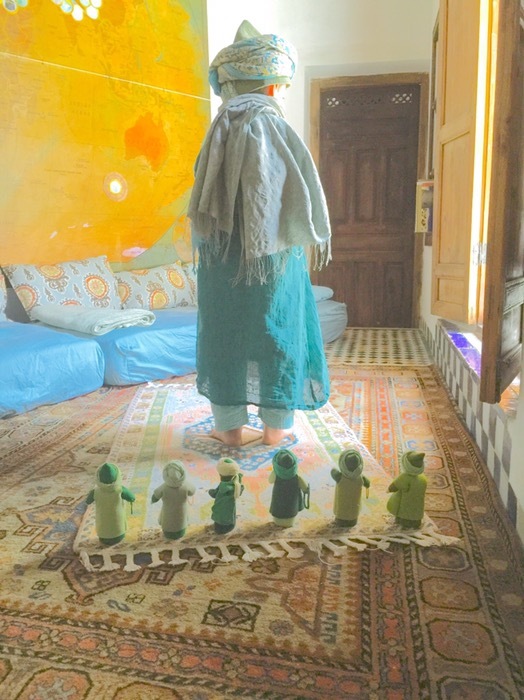 Today our dervish dolls are following our little imam in prayer. One of the things that really motivates my son to pray is when he gets to lead the prayer. This gives him greater focus and practice in reciting. The Dervish Dolls were commissioned by Sirajunmunira from WaldorfMagicGlade on Etsy. Please share your ideas for using creative play to teach children about prayer.